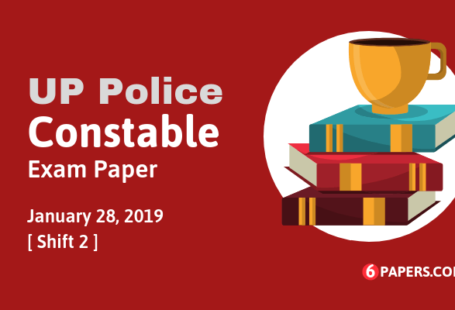 UP Police Constable exam paper 28 January 2019 with Answer key (morning shift) in English language available here. 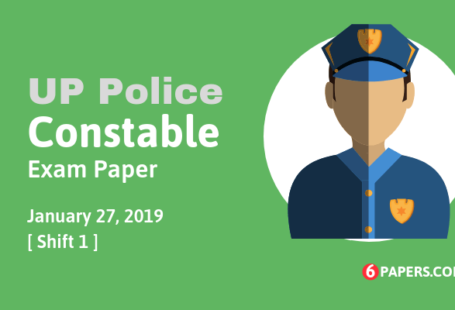 UP Police Constable exam paper with answer key held by UPPRPB (Uttar Pradesh Police Recruitment and Promotion Board) on 28 January 2019 10 AM to 12 PM (morning shift) in Uttar Pradesh state. 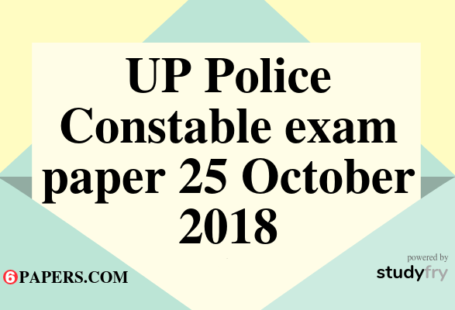 Q1 Which of the following is NOT one of the stages of the selection procedure of UP Police Department? Q2 According to a legend, which God sacrificed ten horses during Dashashwamedh yajna performed at the Dashashwamedh Ghat? Q3 Which of the following is the highest gallantry award in India? Q4 “My Passage from India” is a book written by _________. Q5 World Environment Day is held on which day? Q6 Who invented the jet engine? Q7 Which of the following social media networks is NOT a publicly listed company? Q8 Which Indian state has its maximum area under forest cover? Q9 _____is the official currency of Finland. Q10 Which line demarcates the boundary between India and Pakistan? Q11 Pyongyang is the capital of which country? Q12 Which of the following is NOT a state of the United States of America? Q13 The people of Lakshadweep speak which other language besides Malayalam? Q14 Name the younger son of Shivaji who was also the third Chhatrapati. Q15 _________ is an ancient folk dance originating from Odisha. Q17 India ranks at 3rd position, behind ________ and Indonesia, in its annual coconut production. Q18 The handwritten Constitution was signed on 24th January, 1950, by 284 members of the Constituent Assembly, which included _________women. Q19 The Kakori train robbery was conceived by Ram Prasad Bismil and ______ .